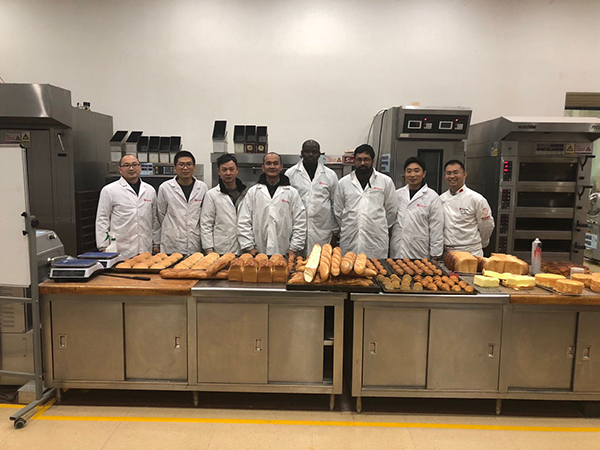 On January 14th, 2019, before Chinese New Year, Angel four overseas employees came to Angel Yichang headquarters. This time, they came to Yichang, mainly for reporting their works of 2018 and receive relevant training. 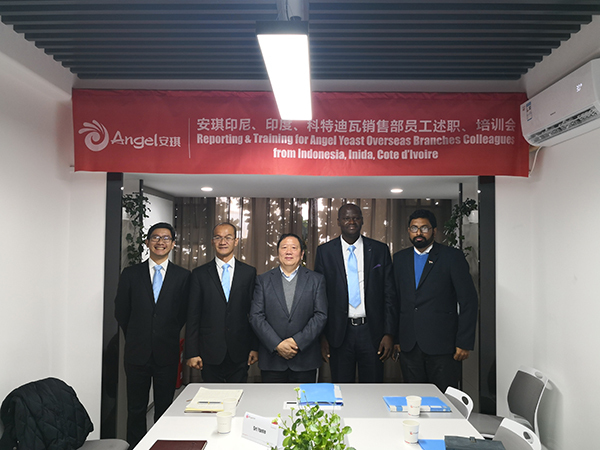 The chairman of Angel Company, Yu Xuefeng and other leaders gave them a warm welcome. On the first day of their trip, they respectively gave a report in details about their works after joining in Angel Company. Their works have received affirmations from leaders, which gave them much confidence for the work in the year of 2019. 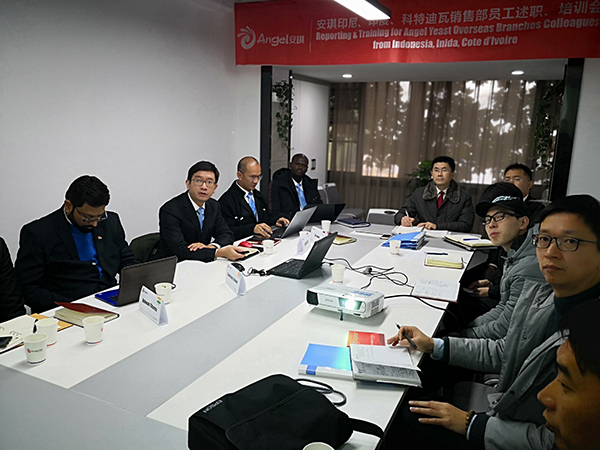 On the following days, they received comprehensive and systematic trainings about Angel corporate culture, company's main business and products, branding works, application technology. 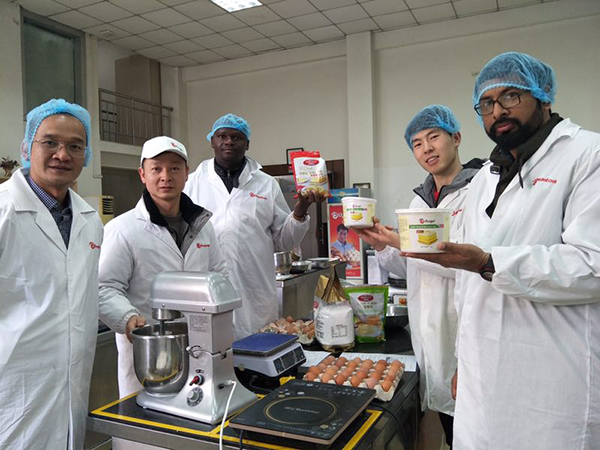 They also visited Angel Yichang factory, industrial park, Xiwang and Hongyu Companies—two subsidiary corporations of Angel Yeast Company. 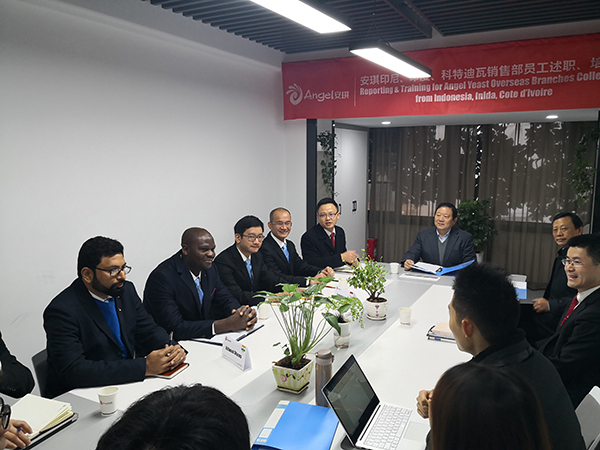 Through these visits, they are expected to have a fully understanding of the products and business involved in Angel Company. They also went to the baking center to make some baking products. 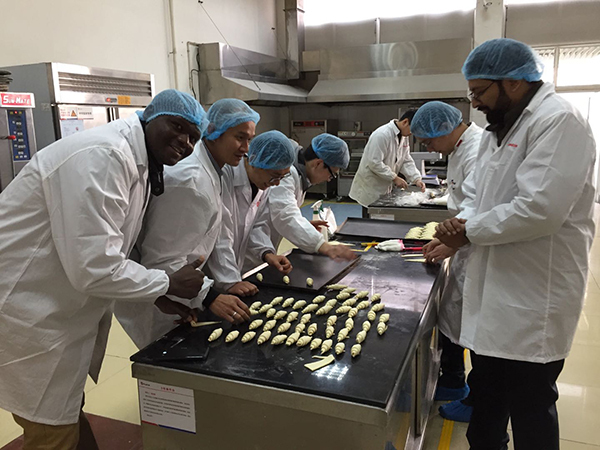 During the baking practices, Angel technicians firstly gave them demosrations and answered their questions about baking, then let them bake some products by themselves, which undoubtedly enhenced their understanding about baking and Angel baking products.